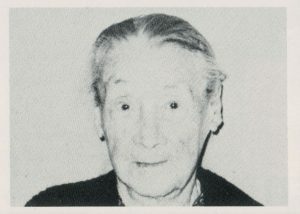 Today, some old photos of some past Zion Chatt members who I recently wrote about on a Tombstone Tuesday. A big thanks to Christy, who shared the first photo with me. The photo below is the Fred J. and Anna (Huffman) Bollenbacher family, taken about 1920. Christy is Fred and Anna’s great-granddaughter and she descends from their son Albert. 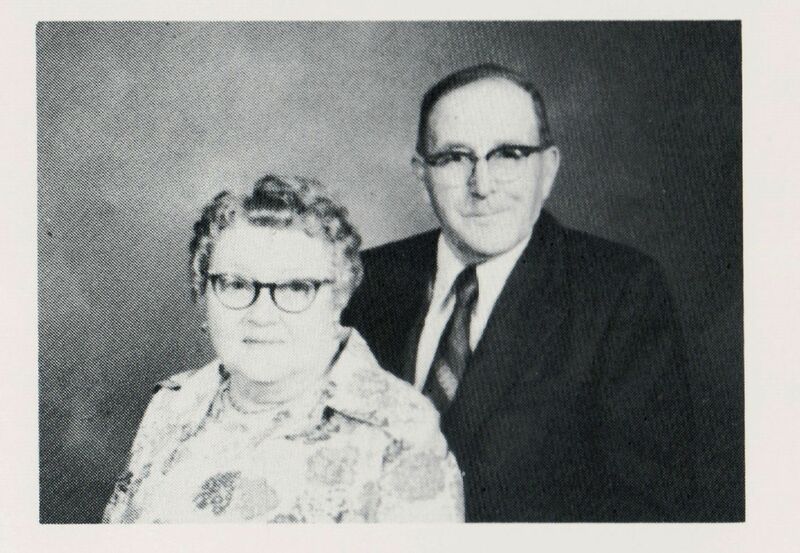 Seated in front: Fred J. Bollenbacher, Anna (Huffman) Bollenbacher. Middle row: Opal, Luther, and Albert Bollenbacher. 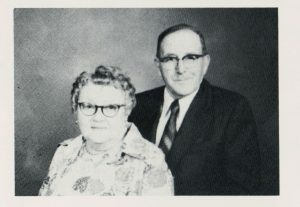 Standing in back: Mabel and Ernest Bollenbacher. 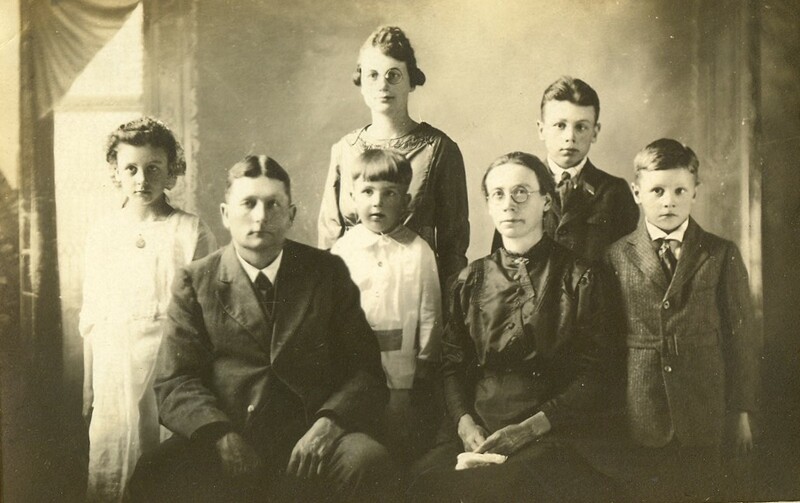 Fred & Anna (Huffman) Bollenbacher family, c1920. Front, Fred & Anna; Middle: Opal, Luther, & Albert; Back: Mabel & Ernest. 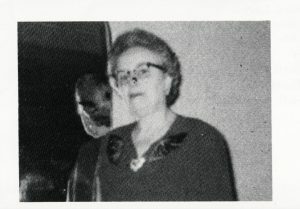 I did a little searching myself and found some photos taken in 1979. Anna (Huffman) Bollenbacher, 1979. 100 years old. Victor & Chloe (Douglas) Bollenbacher, 1979. These photos certainly bring back a lot of memories. I remember going Christmas caroling at Mrs. Bollenbacher’s house while I was in Zion’s youth group. I thought her refrigerator was interesting because it had the motor on top of the fridge box. She always had a plate of good sugar cookies for us and I think her recipe is in one of Zion’s recipe books. Thanks for those memories, Deb. I will have to look up that recipe. Sugar cookies are my favorite!